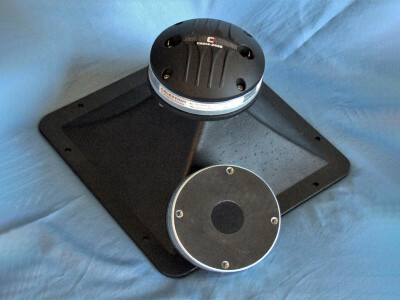 This month’s Test Bench measures Eighteen Sound’s ND3ST 1.4” compression driver in combination with the Eighteen Sound XT1464 60° × 50° horn. The ND3ST 1.4 inch exit Natural Sound neodymium high frequency compression driver has been designed to fulfil very high quality sound reinforcement applications. 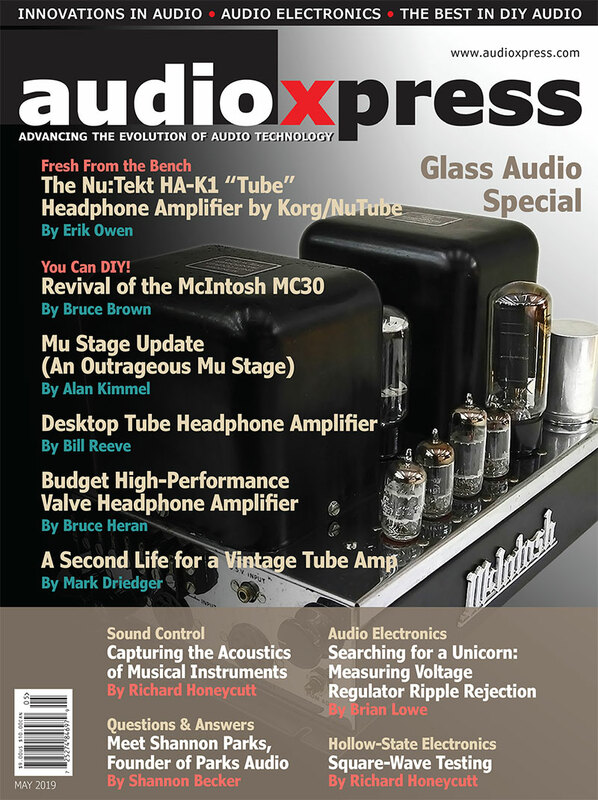 This article was originally published in Voice Coil, December 2016. 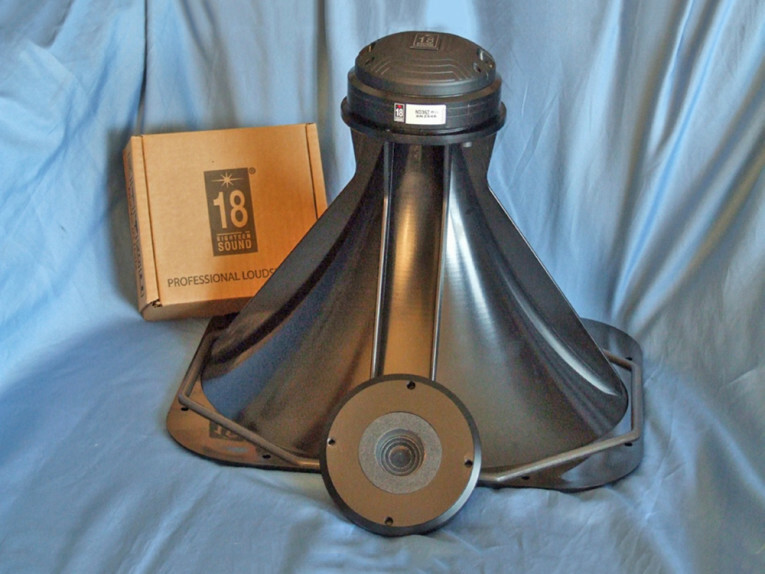 This month’s Test Bench samples came from Italian pro sound OEM Eighteen Sound. I received the ND3ST 1.4” throat compression driver coupled with the Eighteen Sound’s XT1464 60° × 50° constant coverage horn (see Photo 1). The ND3ST is the latest in Eighteen Sound’s series of neodymium motor compression drivers, which already includes more than 23 different models (at the time of writing). 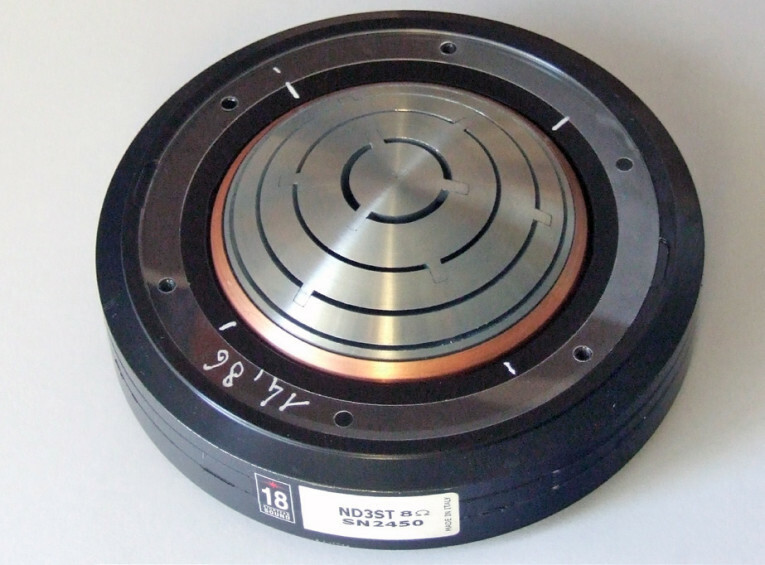 The ND4015BE was characterized in Voice Coil’s February 2014 issue and the NSD1095N was characterized in the December 2010 issue. Out of this extensive series of neodymium motor compression drivers, only the ND3T and the ND3ST are presented as high output compression drivers with 112 dB sensitivity ratings. Photo 1: The Eighteen Sound ND3ST 1.4” throat compression driver. Photo 2: The ND3ST’s self-centering diaphragm assembly is made by joining the former directly to the titanium dome on its upper bend edge. Photo 3: The ND3ST also has a four-slot metal alloy phase plug design with a copper shorting ring. 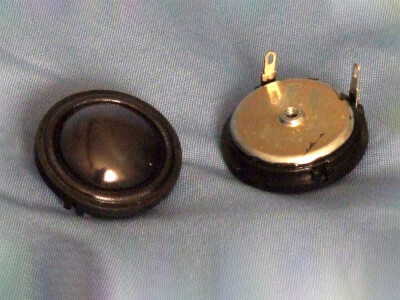 Features for the Eighteen Sound ND3ST include a titanium diaphragm (with proprietary suspension) driven by a 75 mm (3”) voice coil wound with edgewound CCAW wire on a treated Nomex former. 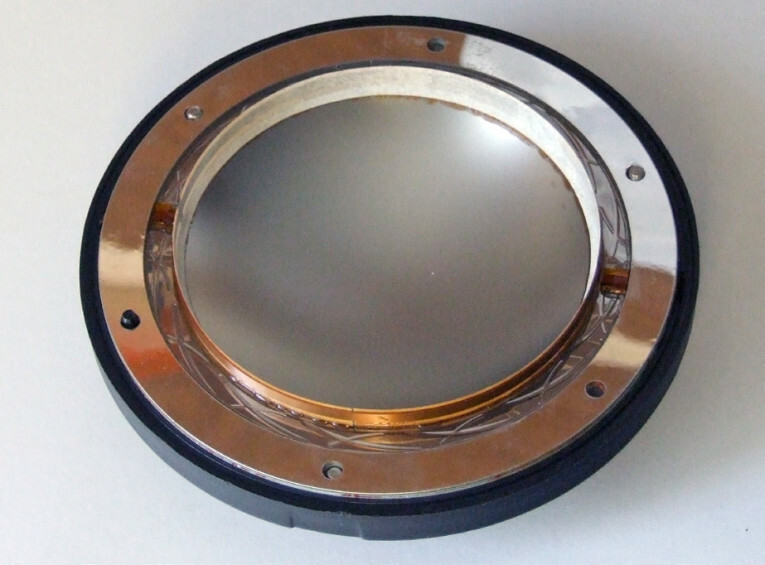 The self-centering diaphragm assembly is made by joining the former directly to the titanium dome on its upper bend edge (see Photo 2). 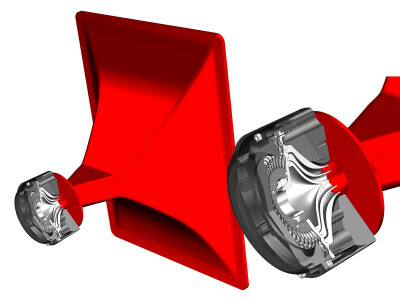 According to Eighteen Sound, in comparison with a usual straight former joint, the driver’s design assures extended frequency energy transfer for improved response linearity and unparallelled reliability. 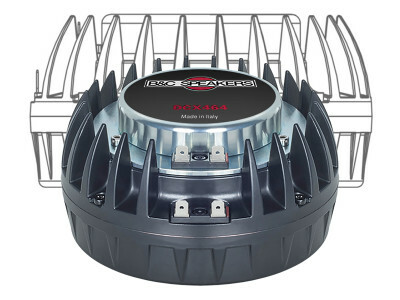 Other features include a cast-aluminum body, a 120 W AES-rated power handling (240 W program material maximum), a neodymium ring magnet motor, a four-slot metal alloy phase plug design with a copper shorting ring (see Photo 3), and solderable terminals. 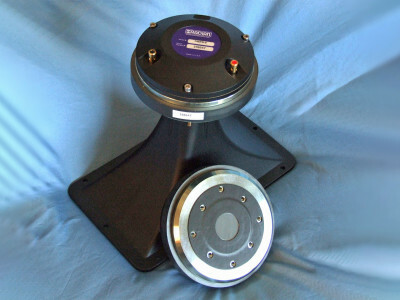 The horn supplied with the ND3ST driver is Eighteen Sound’s injection-molded polyurethane 1.4” throat 60°H × 50°V elliptical constant directivity XT1464. 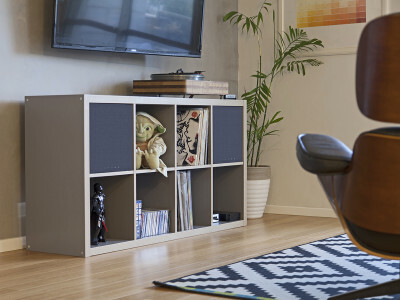 This was designed to match the 1.4” Eighteen Sound neodymium motor compression drivers. 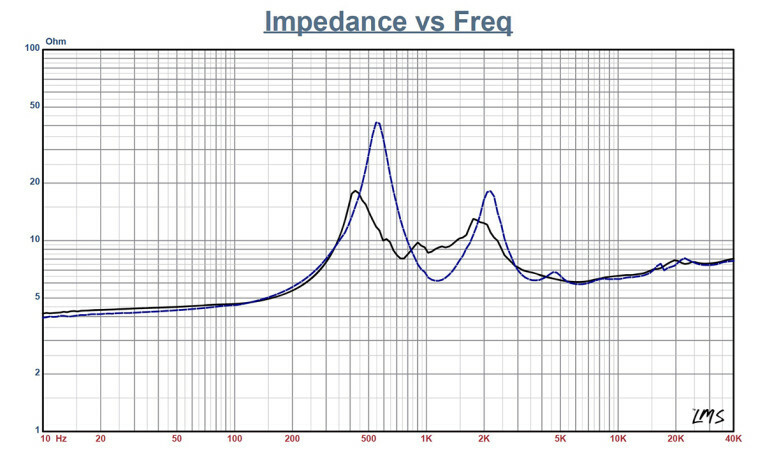 Figure 1: Eighteen Sound ND3ST/XT1464 free-air impedance plot. 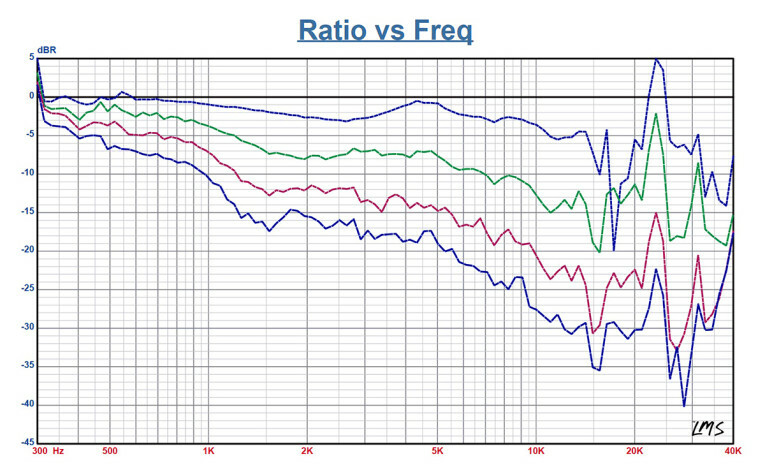 Figure 2: Eighteen Sound ND3ST/XT1464 on-axis frequency response. Figure 3: Eighteen Sound ND3ST/XT1464 horizontal on- and off-axis frequency response (0°=solid; 15°=dot; 30°=dash; 45°=dash/dot; 60°=dash). Figure 4: Eighteen Sound ND3ST/XT1464 vertical on and off-axis frequency response (0° =solid; 15°=dot; 30°=dash; 45°=dash/dot; 60°=dash). 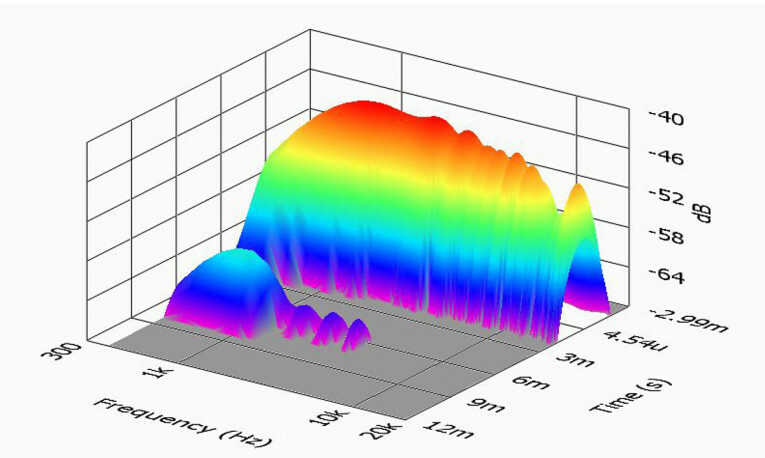 Figure 5: Eighteen Sound ND3ST/XT1464 normalized horizontal on- and off-axis frequency response (0° = solid; 15° = dot; 30° = dash; 45° = dash/dot; 60° = dash). 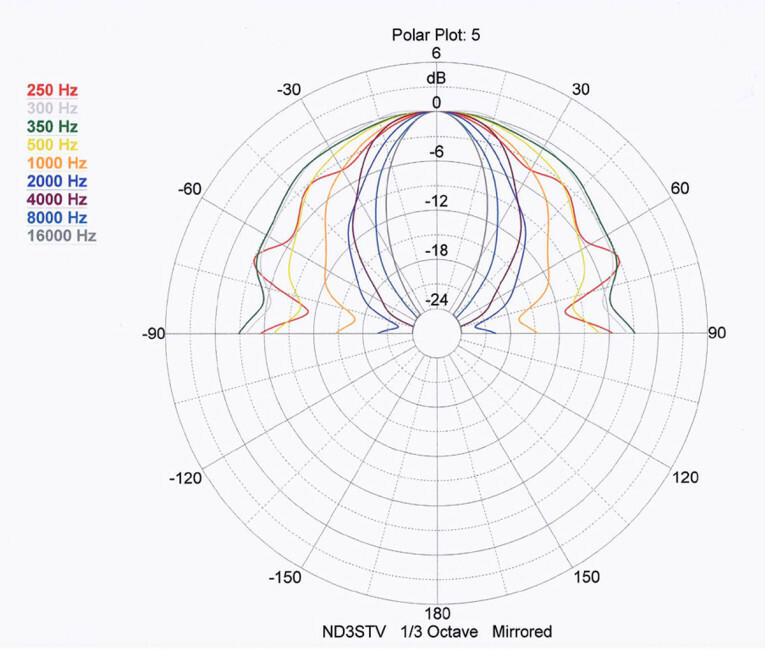 Figure 6: Eighteen Sound ND3ST/XT1464 normalized vertical on- and off-axis frequency response (0° = solid; 15° = dot; 30° = dash; 45° = dash/dot; 60° = dash). To begin testing, I used the LinearX LMS analyzer to produce the 200-point stepped sine wave impedance plot shown in Figure 1. The solid black curve was taken with the ND3ST mounted on the XT1464 horn. The dashed blue curve represents the compression driver without the horn. 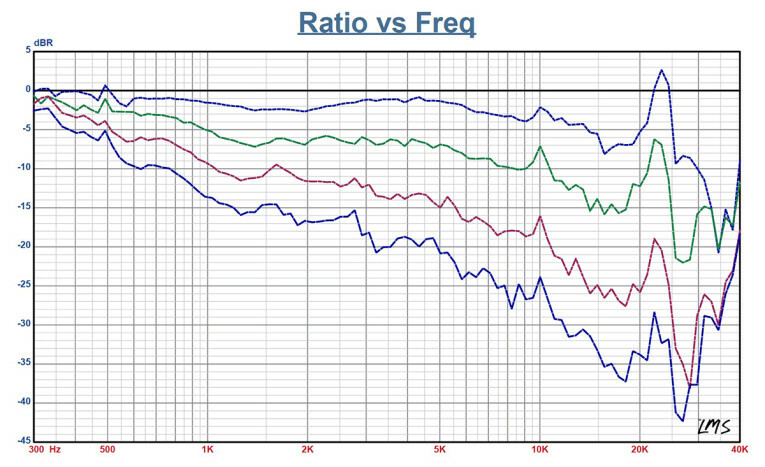 With a 4.34 Ω DCR, the ND3ST/XT1464’s minimum impedance was 6.08 Ω and at 6.13 kHz. Next, I recess-mounted the ND3ST/XT1464 without an enclosure in free air. Then, I measured the horizontal and the vertical on and off axis at 2.83 V/1 m, using a 100-point gated sine wave sweep. Figure 2 displays the on-axis result for the ND3ST’s compression driver/horn combination. 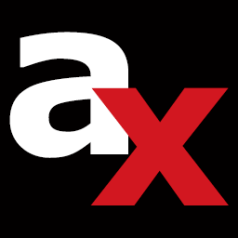 The response is approximately ±3 dB from the minimum recommended crossover frequency of 800 Hz to 9.5 kHz, with a declining response to the low-pass rolloff. 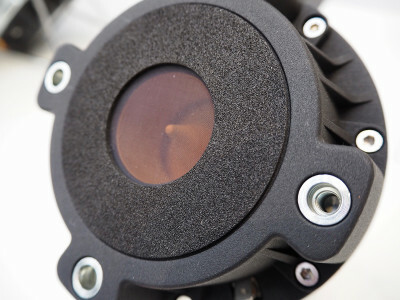 With the coverage pattern of the XT1464 horn being 60°H × 50°V, you wouldn’t expect much of a difference in the horizontal and vertical off-axis plots, which is indeed the case. Figure 3 shows the horizontal orientation. Figure 4 shows the vertical orientation. 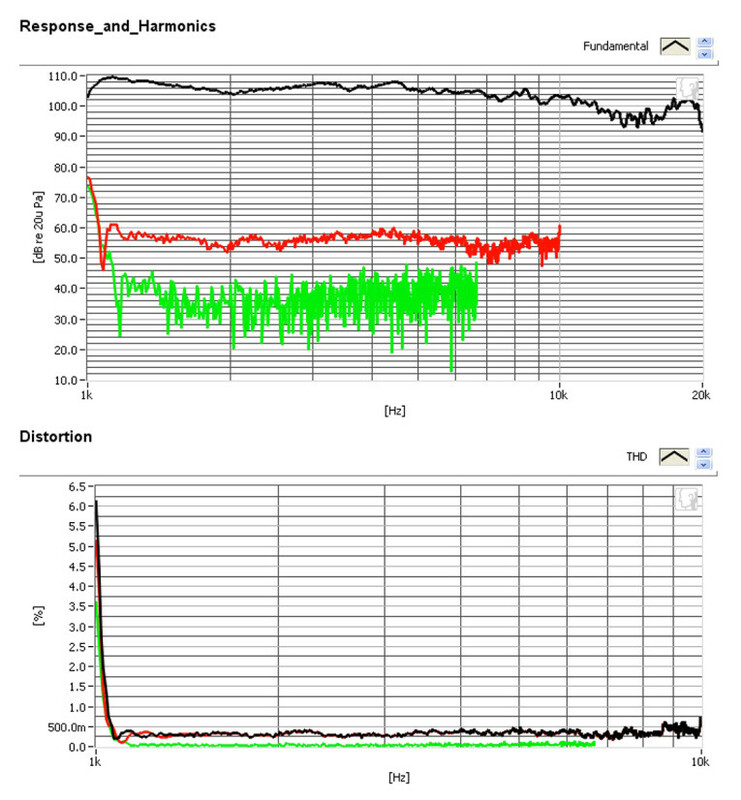 Plots with the off-axis normalized to the on-axis response for the horizontal and vertical axis measurements are shown in Figure 5 and Figure 6, respectively. 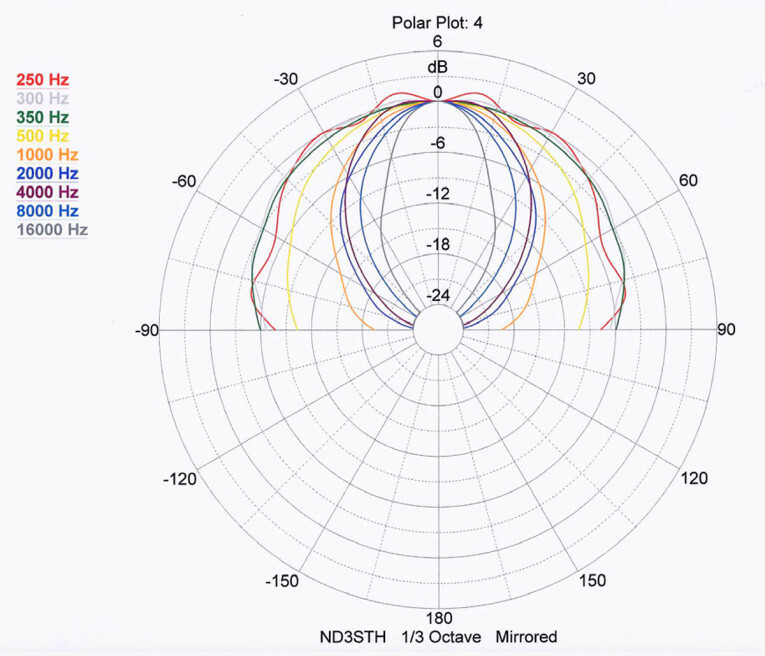 Figure 7: Eighteen Sound ND3ST/XT1464 horizontal CLIO polar plot. Figure 8: Eighteen Sound ND3ST/XT1464 vertical CLIO polar plot. 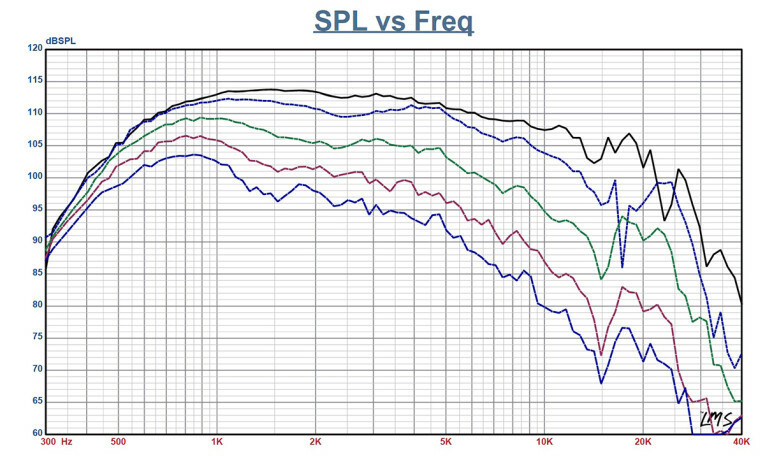 Figure 9: Eighteen Sound ND3ST/XT1464 two-sample SPL comparison. 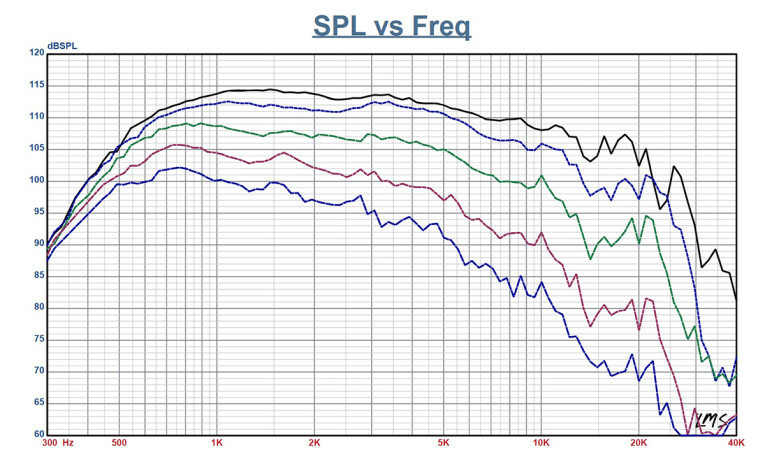 Figure 10: Eighteen Sound ND3ST/XT1464 SoundCheck distortion plots. The CLIO polar plots (in 10° increments) are shown in Figure 7 and Figure 8. Figure 9 gives the ND3ST/XT1464 combination’s two-sample SPL comparison, showing both samples to be closely matched. For the remaining tests, I employed the Listen, Inc. AmpConnect ISC analyzer and 0.25” SCM microphone using SoundCheck 14 software to measure distortion and generate time-frequency plots. For the distortion measurement, I mounted the ND3ST/XT1464 combination in free air without a baffle (the same configuration used for the frequency response measurements). 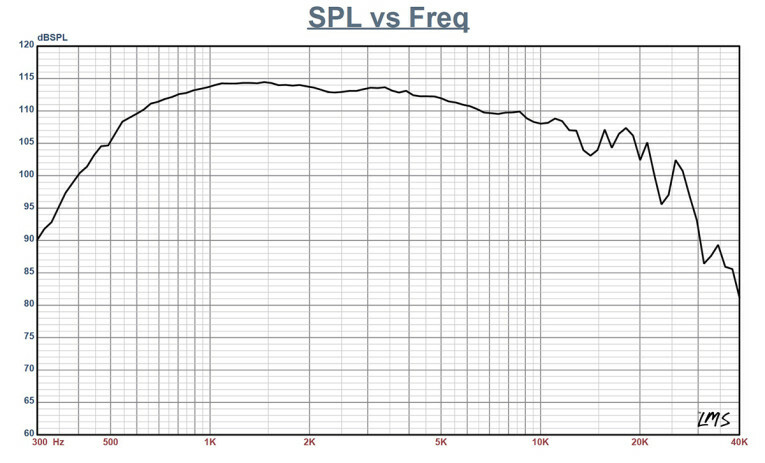 I used a pink noise stimulus to set the SPL to 104 dB at 1 m (0.42 V). 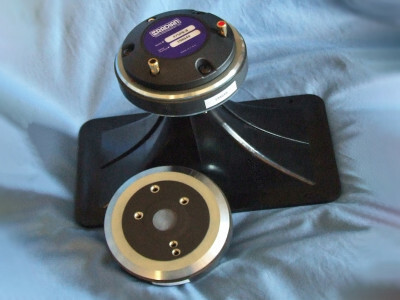 Then, I measured the distortion with the Listen microphone placed 10 cm from the mouth of the horn. This produced the distortion curves shown in Figure 10. I used SoundCheck to get a 2.83 V/1 m impulse response for this driver and imported the data into Listen’s SoundMap Time/Frequency software (now integrated with SoundCheck V. 12 and up). Figure 11 shows the resulting CSD waterfall plot is given in. Figure 12 shows the Short-Time Fourier Transform (STFT) plot. 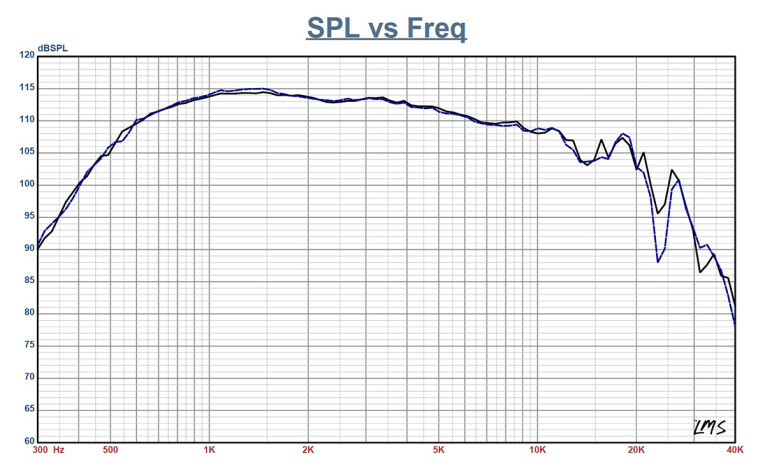 Figure 11: Eighteen Sound ND3ST/XT1464 SoundCheck CSD waterfall plot. 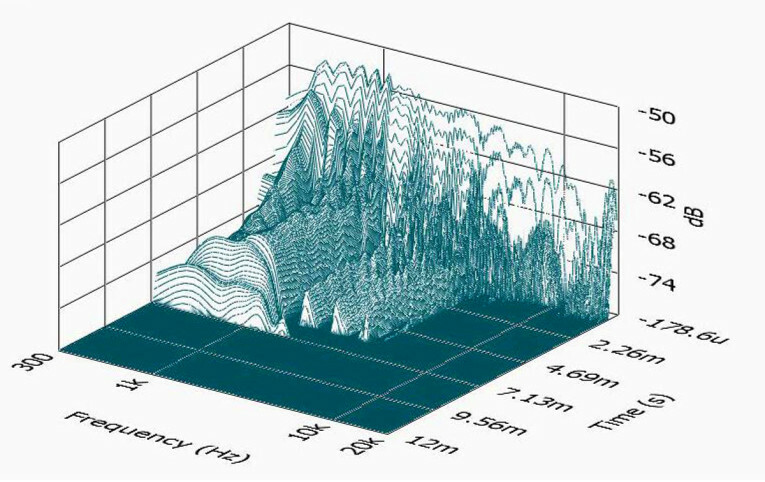 Figure 12: Eighteen Sound ND3ST/XT1464 SoundCheck Short Time Fourier Transform (STFT) plot. 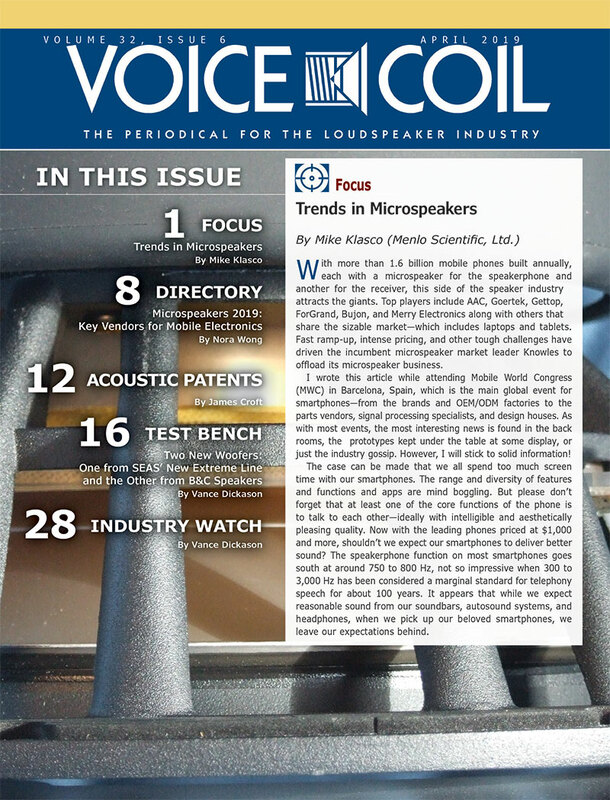 This article was originally published in Voice Coil, December 2016.